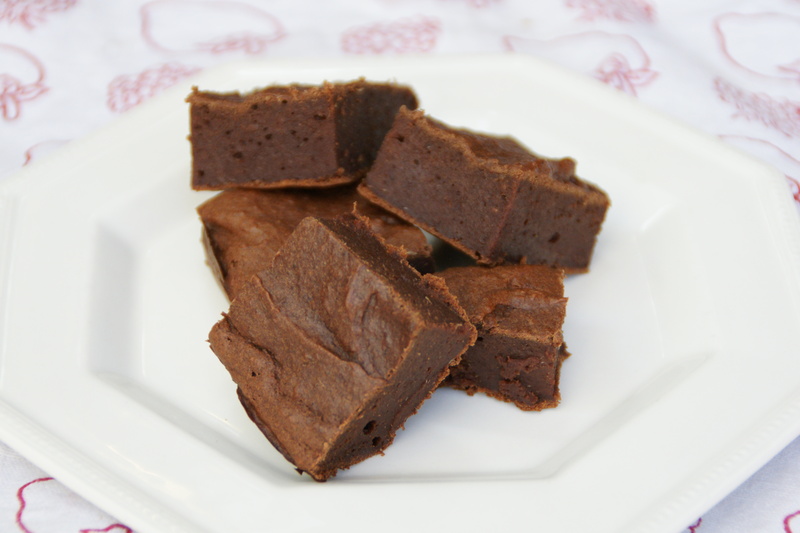 I’ve been seeing a lot of references to low fat, date based brownies in my Facebook feed lately. It’s clearly had an effect on me, as this morning I came back from my run determined to make some healthy brownies for our play date at the super park today. I ended up making a variation of a recipe I found here. It was only a very slight variation so all credit must go to Corrie, who originally posted the recipe. I love the internet. Cook dates and apples at 100 degrees for 7 minutes on speed 1. Then puree by whizzing at speed 8 for 10 seconds. 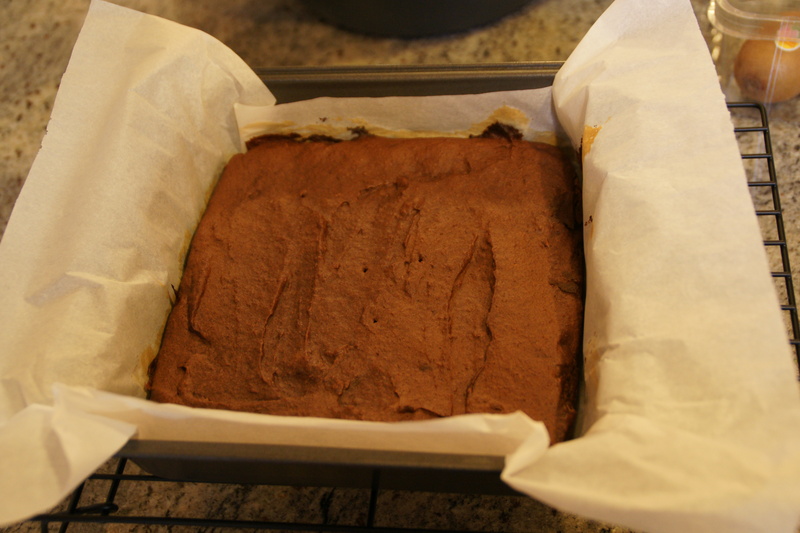 Leave it to cool for a bit, then add flour, cocoa, eggs, milk and vanilla and mix for 25 seconds on speed 7. Pour into a lined square tin and bake at 180 degrees for 20 to 25 minutes. Let it cool in the tin for 5 minutes before removing (using the paper) and slicing. This was a hit in my household. It’s going on the “make again” list for sure.